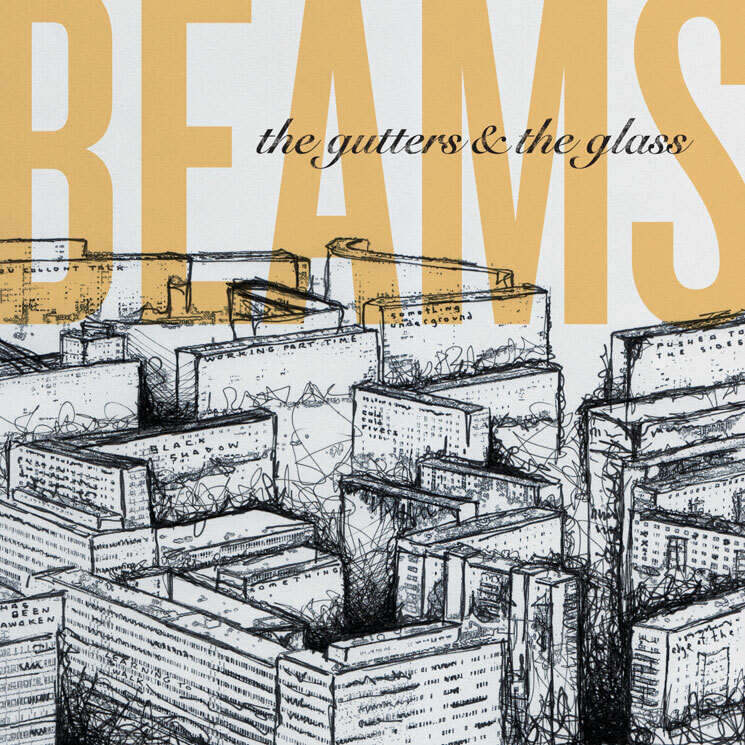 Last time we caught up with Beams, the Toronto roots outfit delivered a feel-good, stomp-along Exclaim! TV session. Now, the ensemble are back with a new 7-inch single titled The Gutters & the Glass, and you can stream it on Exclaim.ca right now. Pairing female vocals with an army of traditional folk instruments like the banjo, mandolin, lap steel guitar and singing saw, Beams deliver a modern take on traditional bluegrass music. On The Gutters & the Glass, they present "The Way We Run" and "Black Shadow" — both recorded with John McEntire (Tortoise, the Sea and the Cake) in Chicago. According to a recent press release, the two new tunes serve as "gorgeous documents of two whirlwind days in Chicago." They're far from feeling like the cold winter winds of Chi-town, though. The warm, rich instrumentation and lush vocals on each song is more than enough to provide a little comfort during the Canadian winter. The single officially arrives on January 27, but you can stream it in advance right now in the player below, where you'll also find the new video for "Black Shadow."